If you are watching German tv on our multi satellite package equipment, you will have noticed that the French channels now have a warning notice or you may now be faced with a blank screen. 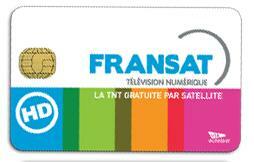 The Fransat cards encryption is being updated. The process of updating all cards to ‘Viaccess Secure’ has actually been going on since may 2017 and is due to complete by the end of 2017.